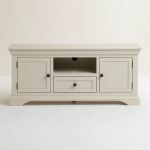 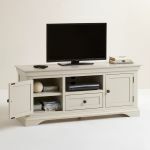 Bring home the stylish Arlette grey painted large TV unit today to add a dash of clean sophistication to your living room. 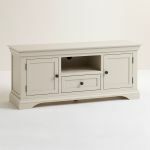 Made from 100% solid hardwood, it's not only a durable, high quality home for your TV, media player, gaming console and accessories, but also a beautifully designed piece that will make a stylish statement. 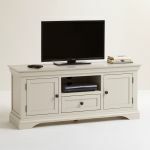 This large TV unit features a smooth versatile mid-tone grey painted finish with contrasting dark metal hardware to complete the look. It offers plentiful storage; two cupboards flank a central section with a drawer and shelf with and exit hole to keep cables neat and tidy. 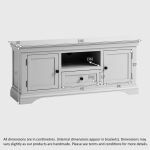 It's finished with the design elements signature to the Arlette range, including decorative cornices, arched bases, and panelled drawer and door fronts. 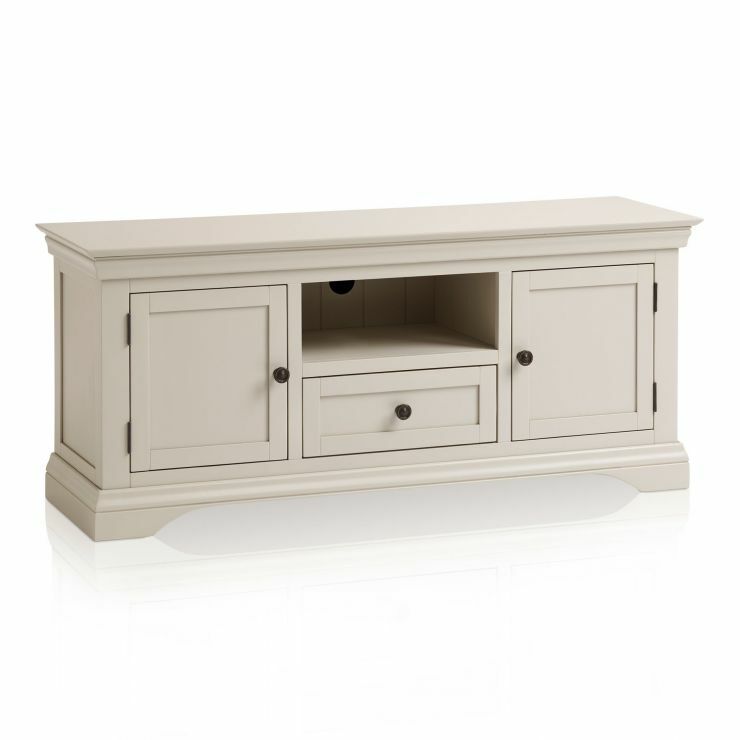 Discover more from the beautiful Arlette collection today!